The Seed to Harvest school garden project helps children become healthy adults who eat their fruit and vegetables, know the basics of growing food, and contribute to a thriving community. 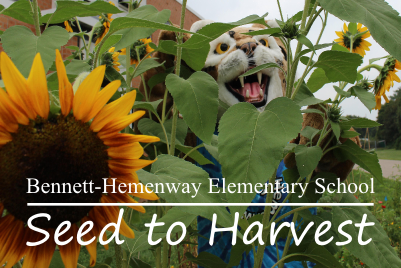 Founded in 2012 by Bennett-Hemenway parents (Kathy Cappellano and Maureen McMahon), the Seed to Harvest garden is an outdoor classroom for our students. It boasts 10 raised planter beds that grow fruit, vegetables, herbs and flowers all season long. The garden is maintained through the efforts of students, parents and Natick community members. Everyone is invited to get involved. We are so happy to kick-off the 2019 Garden Season! On March 5, a handful of Seed to Harvest parent volunteers met to discuss goals for the season, ideas for improvement, and to welcome new parents to the program. 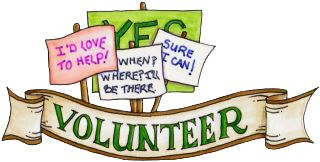 A second Kick-off meeting is scheduled for Thursday, March 21 to accommodate volunteers who were unable to attend the day-time meeting. Modify grade-level planting/curriculum to ensure that all plants are able to be harvested prior to the end of the 2019 school year. Also, change the grade 3 curriculum to cover pollinators (especially butterflies) to fit into the new science curriculum. Kindergarten will now plant Legumes (Sugar Snap Peas/Green Beans), First grade will plant Brassica (Kale/Radishes), Second grade will continue to plant Carrots (and we will maybe add Beets), Third grade will plant flowers and manage the Butterfly Garden, and Fourth will still plant potatoes. Work on cultivating our volunteer group and train parents on delivering the grade-level curriculum. Possibly host in-person training sessions and/or record an online training session for each grade. Also suggested is the creation of sub-committees with volunteer ownership (Grade Level, Volunteers, Garden Maintenance, etc). Is it possible to get volunteers from middle school or high school? ASAP? Spread the word to incoming Kindergarten parents via tours at the meet & greet. We will maintain a garden task list at the school (in the new STH Work Area) so that volunteers can see what needs to be done when they come in on their own or as a group. Schedule weekly gardening times where volunteers can come and work with the more experienced committee members. Build the two remaining raised beds under the Kindergarten windows. Since the May 5th meeting, progress has been made in getting the classroom planting supplies organized. The PTO even cleared a space for the Seed to Harvest committee to use for storage and lesson preparation.